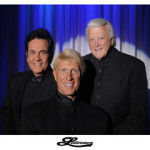 A Capitol Fourth features The Beach Boys and The Four Tops - Pop, Rock & Doo Wopp Live! 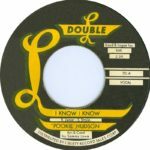 The Beach Boys – Though they never had a patriotic-themed hit (unless you count “Surfin U.S.A.”), they are synonymous with the flag-waving spirit of the 4th of July. 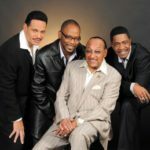 In 1975, they released a double-album compilation called “Spirit of America.” The boys of summer have been called “America’s Band”, their biographical mini-series was called “An American Family” and mainstays on the perennial TV special “A Capitol Fourth”, broadcast this year from the west lawn of the U.S. Capitol. John Stamos says of this year’s event, “The Beach Boys, D.C., the Fourth of July – to be more patriotic, you’d have to shoot apple pies out of a T-shirt gun.” The Boys will also be joined on stage by Mark McGrath, who, as the lead singer of Sugar Ray, had Top Ten hits such as “Fly”, “Someday” and “Every Morning.” McGrath, a Southern California native, was heavily influenced by area bands such as Tierra, Malo and, of course, the Beach Boys. 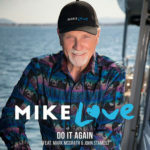 In advance of the on-stage collaboration, Mike Love released a new version of the Beach Boys’ hit “Do It Again” with McGrath sharing lead duties with Love. Stamos is on drums. In 1983, the Beach Boys made headlines when they were unceremoniously uninvited from the annual event as part of a blanket ban on “rock bands” issued by James Watt, then Secretary of the Interior. “We’re not going to encourage drug abuse and alcoholism as was done in the past,” Watt announced. He further offering that rock bands attracted the wrong element. As a fine example of just how insulated from reality our officials in Washington can be, Watt later admitted that he had not even heard of the Beach Boys. 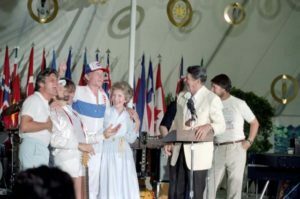 He was quoted as saying, ”If it wasn’t ‘Amazing Grace’ or ‘The Star-Spangled Banner,’ I didn’t recognize the song.” Nancy Reagan personally ensured the Beach Boys were welcomed back to our nation’s capitol with open arms in the years that followed. The Beach Boys current line-up features Mike Love, Bruce Johnston (who’s on every recording from “California Girls” on), Jeff Foskett (who toured for many years with Brian Wilson, faithfully re-created his parts) and drummer John Cowsill (of the famously musical Cowsill family), when he’s not sidelined by a Stamos guest-appearance. Check local listings or CLICK HERE for more info on the event and broadcast.